You love animals, especially dogs and cats? Then this project is perfect for you! In the capital live about 20 000 street dogs. Sometimes the government poisons them, trying to get the population under control. 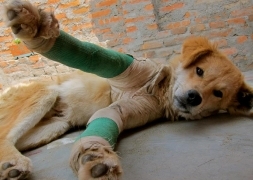 Because of the hustle and bustle in the streets of Kathmandu many dogs die or get wounded by the cars and motorbikes. In Kathmandu are 2 dog projects, where they treat them, and, most important - they castrate them, the only method to minimize the street dogs without killing them. Their aims are to rescue, rehabilitate, and find homes for lost, abandoned, and abused dogs and cats. But they are not able to find homes for all the dogs, so after they are recovered from the operation the dogs without family will again be skipped on the streets. When they catch the wounded dogs and take them to the Dog Center, they write down the name of the place where they found them and so they can bring them to exactly this place again. In Nepal people often don't like dogs so much and also don't have the money to give them food everyday, but often the street dogs find a "family" who gives them the rest of their meals so that it is easier for the dogs to survive. The puppies stay in the dog center and for them they try to find a family. You can't see many cats in the streets of Kathmandu, but if there is a cat who needs help they also come to the Dog Center. If you want you can help directly in the dog center. But you can also help the dogs directly on the streets. 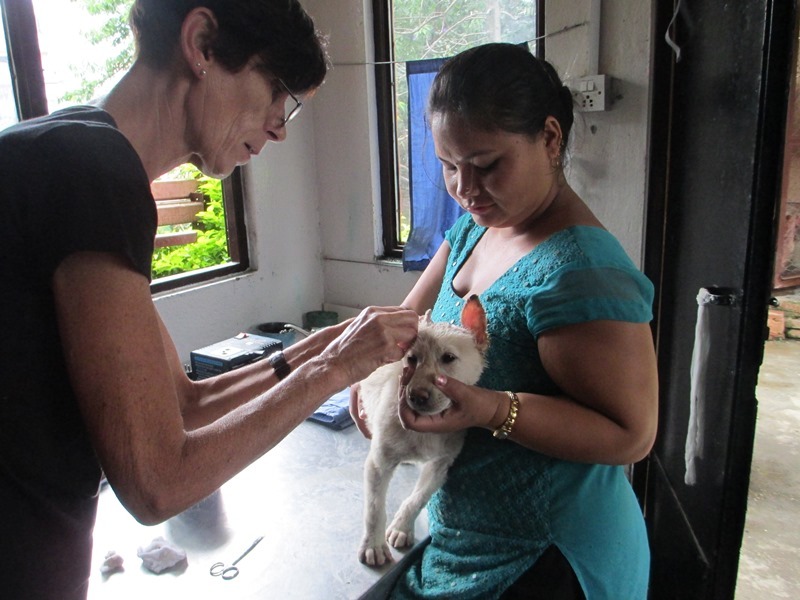 You go with a vet to some places in Kathmandu or its surroundings, and see on location which dog needs help. Sometimes the leg is broken, sometimes they have big wounds or inflammations and sometimes they have a lot of vermin in their skin. 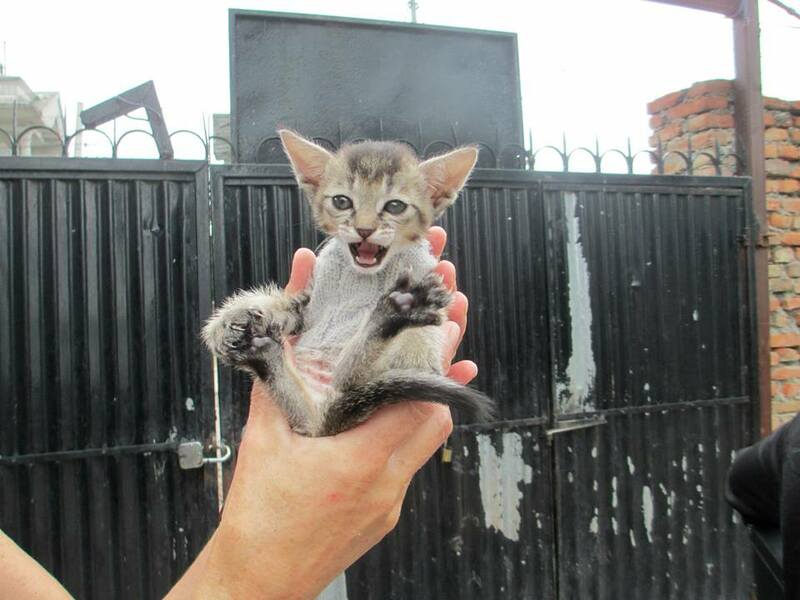 You help to catch the dogs, hold them, desinfect wounds etc. 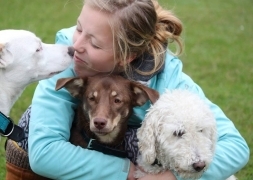 If you can't help the dog during a short period of time, you also take him to a dog center. 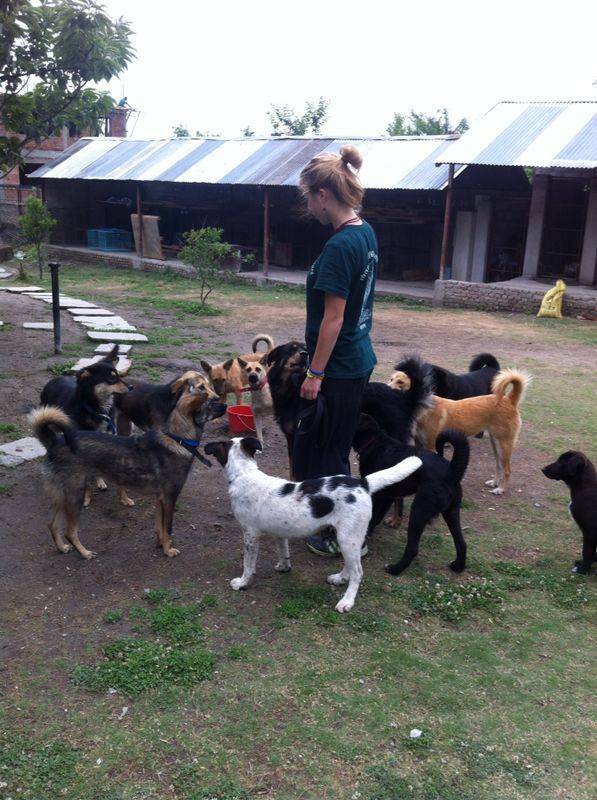 Your work is really interesting, because you will not only help the dogs, you will also explore many places of Kathmandu and the surrounding areas during your work. After your booking we will send you detailed information about Nepal and your project! If you do the dog project on the street and not in the dog center, it is possible that you will not everyday come back to the house of your host family, sometimes you will stay for example in a hotel in Bhaktapur or another place near Kathmandu for 1 or 2 nights. You arrive in Kathmandu and are transferred to your new host family. Today is no program, so you have time to rest and recover from the long flight. Today after breakfast a guide picks you up at home and your first working day starts. The program starts on a Monday end ends on a Friday, so please choose a Monday for your start date. 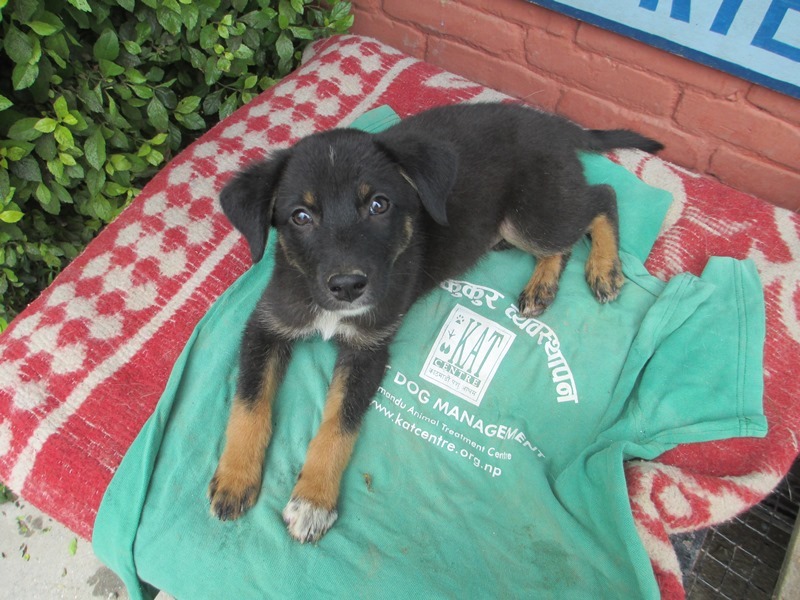 In our Dog Project, located in Kathmandu, you will help catching wounded dogs on the streets and bring them to the project. There you will care for them, give them food, heal their wounds and most important: castrate them, the only method to minimize the quantity of street dogs in the streets of Kathmandu.